Presentation of our Lord: On Thursday, February 2nd, we will celebrate the Presentation of the Lord at 9:00 am. In the past, this feast concluded the Christmas Season. Monthly Exposition of the Blessed Sacrament and Confessions: This coming Friday, February 3rd, the Blessed Sacrament will be exposed from 6:00 pm to 7:00 pm. There will also be confessions during this hour while the Blessed Sacrament is exposed. 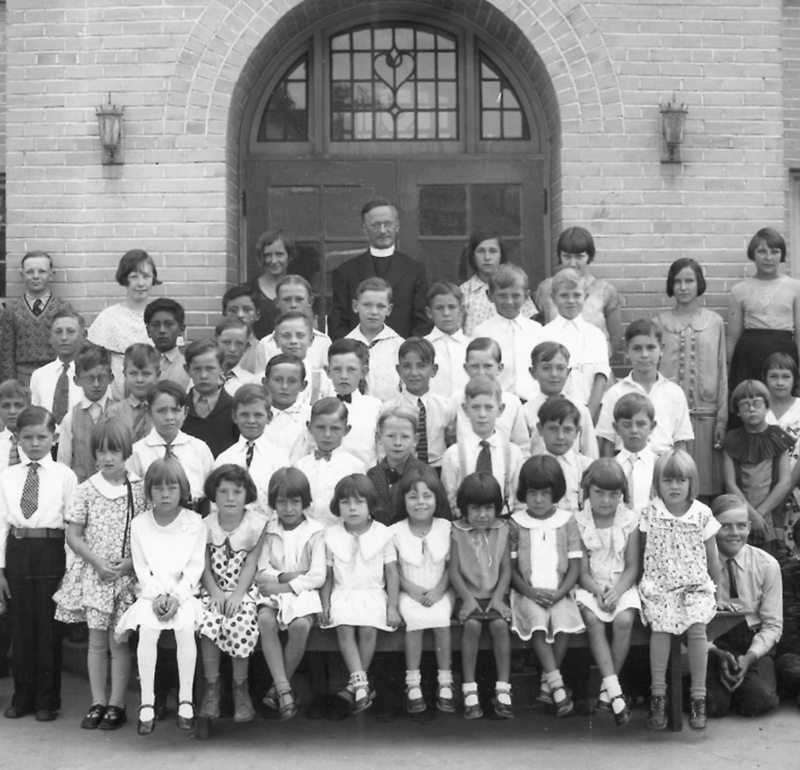 Coming soon: A commemorative booklet of Holy Rosary School, featuring a brief history of the parish and photos of the 40 graduating classes of the former school will be available soon. Sale of the book will raise funds for the continuing restoration of the former school. Misa por la Presentacion del Señor al Templo: Este jueves 2 de febrero vamos a tener una misa a las 6:00 pm. Esta celebración concluía antiguamente el tiempo de navidad. ¡Los esperamos! Exposicíon del Santísimo Sacramento y Confesiones Mensualmente: El próximo viernes 3 de febrero se expondrá el Santísimo Sacramento de 6:00 pm a las 7:00 pm. Habrá confesiones durante esta hora mientras el Santísimo esté expuesto. Próximamente: Un folleto conmemorativo de la Escuela de Holy Rosary, con una breve historia de la parroquia y fotos de las 40 clases de graduación de la escuela anterior. Venta del libro serán destinadas a la restauración de continuar. This entry was posted in adoración, adoration, events, exposition, January 29, penance, reconciliación, Uncategorized and tagged "Holy Rosary", adoración, Adoration, confession, Globeville, prayer group. Bookmark the permalink.